Scuba diving is all about drifting smoothly across the magnificent waves. Diving in Cozumel can be the most friendliest and knowledgeable experience for you ever. On this island, you can dive in with experienced professional and enjoy the salty endeavors. There are many reputed Cozumel diving companies that take ensure you have a safe and fun filled time. Diving in here is the most amazing experience you could ever have, regardless of the training. Cozumel has unlimited colorful marine species, flora and much mire. 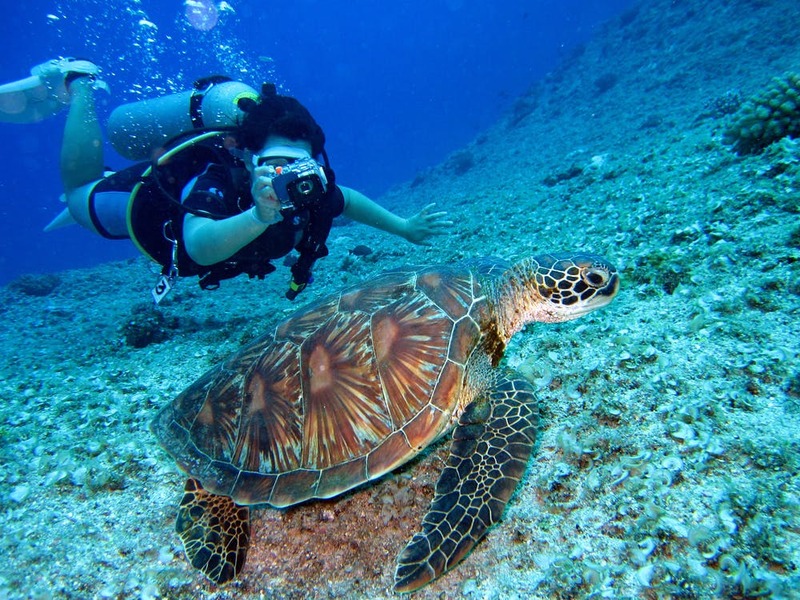 Cozumel provides visitors with crystal clear waters, which makes it an ideal location to dive. It is also the second largest home to barrier reef. The Meso American barrier reef draws a number of various species of fish, lobsters, rays, sea turtles, eels, octopus, and many more sea creatures. Cozumel is also very popular for drift diving. This means that you need more buoyancy control. Once you dive in, you’ll be able to enjoy the colored shiny coral, fish and a lot more than you can imagine, while just ridding along with the current. Abundantly filled with various colors, shapes and sizes, the Riviera Maya reefs are gorgeous. You’ll be able to see enormous eagle rays, tiny seahorses, splendid toadfish and even whale sharks. The wall site is full of life and colors. It begins at 50 feet and goes down to 90 feet. The giant coral heads rise from the bottom of the sea like skyscrapers in the water. Besides the famed reefs, this island is also blessed with carved labyrinths and other underwater systems for the visitors to explore. It is the paradise for scuba divers. The people of Cozumel are very warm and welcoming. They ensure that you enjoy your trip to the fullest. The authentic food is mouthwatering. After your dive, you could just relax by the beach sipping on some delightful Mexican drinks. This island has some of the best bars and restaurants. Most of the dive sites are lined up on the western coast of Cozumel, having vibrant and colorful coral growth. For deeper dives, you need to go further down south of the island. Make sure that you choose a diving site based on your diving skills. If you aren’t confident enough to go diving, then you could take up a crash course, before your first dive. Palancar Gardens is one of the most popular diving site on this island. It is best for novice divers, where they can enjoy exploring colorful towering coral walls and watch mantra rays, hawksbill turtles, hermit crabs, barracuda and more. Yucab Reef has plenty of fish and offers a beautiful dive. You’ll easily spot parrotfish and angelfish. Punta Sur has strong currents and the dive can be challenging, even for the experienced divers. Here, you’ll be able to swim thought the spectacular cavern. To wrap it up, if you are visiting Cozumel for any reason, be it personal or business, you must not miss out on diving.